(CNS): The member for North Side has said the government doesn’t need to build expensive piers in George Town and hand control of the local cruise sector to the cruise lines. 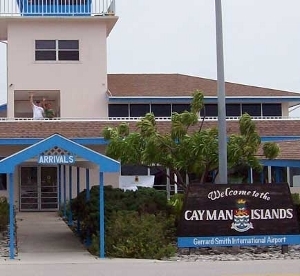 Speaking in the LA on Thursday, Ezzard Miller said it was important that the Cayman Islands improve the experience for people visiting on cruise ships but he said there were ways that could be achieved that would be far more cost effective than the current plans for two piers. Miller also queried how government could be spending some $2.5 million on an environmental impact assessment (EIA) when they have no idea yet what will be built there. Miller said he backed investing money on the enhancement of the cruise experience but he said the country did not need to build the piers. During his response to the budget debate Miller said bigger and better tenders and more of them, along with the beautification of the terminals would be more beneficial to Cayman than the massive investment the piers would require. The North Side MLA said he believed passengers just needed "somewhere to step on to” that’s safe and clean, and if that was a luxury tender rather than a pier, they would be happy. He criticised the recent business case undertaken by consultants to justify the project as he said it didn’t properly evaluate alternatives. The member said he believed the introduction of high end, multi-hull, glass top, comfortable, quality boats could be part of the travel experience for visitors. “Cruise berthing does only one thing which is give the cruise lines greater control,” Miller warned, as he urged government to re-think the issue. 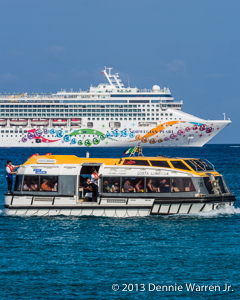 He questioned where the real benefits would be for Cayman’s tourism industry, as he said the cruise ships would still not stay overnight and there were no guarantees that it would translate into more business. He said what was needed was a full scale review of the experience, regulate what was happening at the terminals with the tour operator issues and beautify the area with more trees and greenery. The independent member said he could not support the plan to develop cruise berthing piers and was concerned about the cost of the EIA, which was being paid out of the public purse, especially as there were no plans yet for the assessment to review. “How can we do a $2.5 million EIA if we don’t know what we are building,” he asked, and raised concerns that once it was done, if the government presses on with the plans it may cost it another million dollars to update the plans and revise the assessment. “Things can be done to greatly enhance the experience for a lot less and that’s what we should be doing,” Miller said as he pointed to many possibilities, including employing some of the country's senior citizens to dress up in traditional clothes and spend time helping and assisting arriving passengers and acting as tourism representatives. In his two hour contribution Miller raised a catalogue of concerns with government and highlighted what he said was the continued disregard for the constitution, with the erosion of the Throne Speech and the emergence of a Policy Statement, as well as the Budget Address. He pointed to his worries about the medical standards at the Health City hospital in East End as well as government’s failure to address the many problems relating to health insurance. Miller railed about the excessive bureaucracy and incompetence people encountered dealing with and accessing government services and the MLA also begged for government to add a staff room and classrooms at the newly renamed Edna Moyle Primary School in his district as he pressed home his constituency needs. He noted government’s failure to mention 'one man, one vote' in its legislative calendar for this financial year and warned the people that despite the PPM promise on the campaign trail, it was obvious that they were not going to bring in the change. By the time they got to the start of the 2015/16 financial year, the North Side member said, the government would be full of excuses about not enough time to make the change and teach people how to vote. The failure by government to mention the introduction of a minimum wage did not get past Miller either, who has been a tireless advocate for the introduction of basic pay but whose constant efforts to press this government, and the last, to introduce it via various motions have been thwarted. (CNS): A 28 strong team of local athletes competing in seven different sports will be heading to Glasgow this summer to represent Cayman at the 2014 Commonwealth Games which start on 23 July and last until 3 August. The athletes will compete in Athletics, Boxing, Cycling, Gymnastics, Shooting, Squash and Swimming. The athletes, most of which are familiar faces on the national and international sports scene, are the largest group of sports men and women the country has ever sent to a commonwealth games across the most sports. 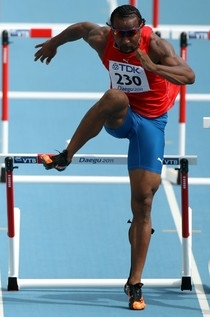 From sprinter Kemar Hyman and hurdler Ronald Forbes to Tafari Ebanks inthe boxing ring and Brett Fraser in pool fingers will be crossed for a medal or two. “This is the largest team that we have ever sent to a Commonwealth Games, in more sports than ever represented and we’re extremely excited to support our athletes who have worked so hard to get here,” said CIOC President Donald McLean. Mothersill-Stephens who is the Meet Director of the Cayman Invitational but is now heavily involved in the administration for the Cayman Islands Amateur Athletics Association as the First Vice President said she hopes to use her years of experience on the track to benefit Cayman’s youth. There are only 53 members of the Commonwealth of Nations but 70 teams participate in the Commonwealth Games as a number of British Overseas Territories such as the Cayman Islands, Crown dependencies, and island states compete under their own flag. The four Home Nations of the United Kingdom—England, Scotland, Wales, and Northern Ireland—also send separate teams. Apart from many Olympic sports, additional sports that are played largely in Commonwealth countries, such as Squash and Netball, are included in the competition schedule for Glasgow. The Commonwealth was first held in 1930 and has taken place every four years ever since (except 1942 and 1946 which were cancelled due to World War II). The Commonwealth Games are described as the third largest multi-sport event in the world, after the Olympic Games and the Asian Games. The Games are overseen by the Commonwealth Games Federation (CGF), which also controls the sporting program and selects the host cities. The costs of hosting the event will be shared by the CGF and the host city, while the travel costs of athletes and coaches are paid by the CGF. (CNS): The Cayman Islands Veterans Association (CIVA) recently donated a new ice and compression unit to the Physiotherapy Department at the Cayman Islands Health Services Authority. The Game Ready device is a portable FDA-regulated machine that will treat a range of patients from sports injuries to post-operative care. Because it is portable it can be used at sporting events, prison visits and urgent home care situations as needed, making it more convenient for the patient. “This machine is very versatile and can be used on the knee, wrist, hand and ankle which will help reduce swelling for patients post-surgery or for other soft tissue damage,” said Dr Delroy Jefferson, the HSA Medical Director . The donation was presented by members of CIVA who said they were honoured to be able represent their organisation. Evert Ebanks, Cayman Islands Medal of Honour(CMH) recipient, is one of only two remaining living World War II Veterans. “We are delighted that this therapeutic machine is now available to physiotherapy patients”, Mr Ebanks said. “Equipment such as this will become more needed as patients age, so we think of this as donating something we are likely to use at some point in the future,”Ebanks added with a laugh. (CNS): In an effort to enhance the quality and availability of information for teens, parents, educators and employers about drug misuse the National Drug Council has redesigned its website. Launched on 16 may the new portal has easier access to answers on drug or alcohol questions, details about the law, information on TIPS training and surveys. “We are very excited at the National Drug Council as we have been hardat work on bringing the public a newly updated website” said Programme Manager Brenda Watson. Questions and queries can be emailed at info@ndc.ky or call 949-9000. 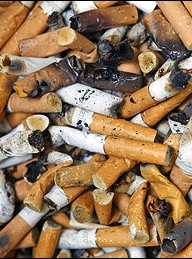 (CNS): With some 15% of people aged 25-64 still smoking tobacco the health minister is urging people to quit. To mark World Tobacco Day on Saturday Osbourne Bodden encouraged the entire community to take a stand against smoking which is the single most preventable cause of death globally and is currently responsible for 10% of adult deaths worldwide. This year the World Health Organization is calling on countries to raise taxes on tobacco but having just delivered its 2014/15 budget there were no new increases this year by the Cayman government but Bodden said taxes were doubled in 2012. In June the Public Health Department is launching a new quitting programme led by a team of trained staff who will offer year round assistance to smokers wanting to stop and stay away from tobacco. (CNS): A report of the government’s work in its first twelve months in office was presented to the Legislative Assembly on Thursday by the premier, who said even he wassurprised by how much the Progressives led government had done its first year on the job. “I knew that we had accomplished much since our swearing in exactly one year ago to this day, but I must say I was a little overwhelmed when the report was placed before me. I thought to myself, wow, we have done a lot in our first year,” Alden McLaughlin told his parliamentary colleagues as he presented the report. The premier went through what he said were a few the highlights, from supporting the private sector to new laws and policies. He said that the government could take satisfaction having done so much but they also realised, even more so now than at the start, “that there is so much, much more to be done”. However, he said the PPM administration was ready for the challenge. “We have proven that we have the determination, dedication and self-discipline and we’re more than willing to make the effort,” the premier stated, adding that he looked forward to delivering an even more impressive report on the second year. (CNS): The opposition leader criticised the government’s fuel duty cut saying it would not help people struggling to pay high power bills because of the delay until January and would do nothing at all for hundreds of people whose power supply has been cut-off. McKeeva Bush said to tell people they will get 4% off their fuel bills in January, when the bills fall anyway because of the cool weather, and when they have seven hot months to get through was a “slap in the face”. He said government was losing CI$8 million in revenue “for this paucity” when it would have been better to use that money to help those without power at all. He said it was not at all meaningful and the fuel duty which had been imposed by the UDP government was down to the current premier and the money he spent on the schools. Bush said he was forced to increase it in order to fight off the UK’s attempts to make him introduce a direct tax. During his response to the budget debate on Thursday, Bush talked about those who were very badly off at present that no one wanted to talk about but there were people facing very difficult times. Bush asked where the government’s social conscience was when they had a surplus of more than $108 million and this “was the best they can do”. He queried what they were doing about children going to bed hungry, in homes without power and the suffering of the elderly and the disabled. He said reducing the cost of electricity by a scant 4% in the cooler months was not meeting people’s needs or coming anywhere near dealing with the crisis of so many people being cut off or giving them jobs so they can pay their bills. The opposition elader said after a year in office of “Cayman’s most brilliant minds” they weren’t offering much. “Does the premier really believe the people are blind or deaf or have lost all their memory?” Bush asked, as he urged government to better use its time and energy to take on the real challenges. People are without water supply as well as electricity and were facing losing their homes, their jobs, their businesses and they are not able to pay their bills or buy groceries, he said, adding that those were the problems government should tackle.